Endpoint Security pertains to the technology that provides protection to every endpoint. Every device that connects to the enterprise network is called an endpoint. Desktop computers, laptops, smartphones, tablets, and Internet of Things (IoT) devices are some of the examples. These endpoints can wirelessly connect to the enterprise network, even outside the perimeter of the network’s security system, which also entails risks of malicious cyber threats such as virus infiltration. This is why there is a need for Endpoint Security. Endpoint Security pertains to the technology that provides protection to every endpoint. Since endpoints can carry cyber threats, Endpoint Security is designed to ultimately protect the enterprise network from different kinds of cyber attack. The security solutions are often composed of software in charge of the main server, and another one that is installed on every endpoint device. The software on the main server is mainly for management control, monitoring, and analysis of device activities. The endpoints are equipped with the security program that “blocks off threats and access attempts prior to entry.” There are different kinds of packages depending on the vendor, but basically the Endpoint Security is a mix of different technologies rolled into one convenient product. EndPoint Security is different from a network security system, and carries objectives that go beyond traditional anti-virus software for it focuses on endpoint devices that are highly vulnerable to infiltration, especially when used outside the company’s premises. In the past, access to enterprise networks is strictly restricted within its perimeter. These days however, this kind of restriction can negatively affect productivity and agility of the workforce. For instance, Bring Your Own Device (BYOD) is a growing trend that allows employees to work beyond the confines of a physical office. This accessibility increases workforce productivity as it helps employees in gaining a sense of control over their workplace. In fact, a survey reveals that 88% of highly engaged employees agree on this. Antivirus & Anti Malware – Most vendors provide high-level antivirus and anti-malware software that can protect the endpoints and the network from different cyber threats such as viruses, malwares, phishing mails, etc. Configuration Management – Other than device configuration, this also allows the security team to monitor the compliance of users to Device Policies. Patch Management – This is responsible for keeping the systems up-to-date. Because devices with expired Operating System or application patches are more susceptible to cyber attacks, it is important to keep track and install important program updates. Asset Management – This ensures that endpoints are tracked and maintained accordingly. Each time a device connects to the network, information is logged into a central database for close status monitoring. Device Policy – Network Access Control, device use, encryption, and application policy are some of the policies that are provided to organizations. This shall also cover the restrictions on the installation of unauthorized programs. Endpoint Security supports a mobile workforce. A company aiming to thrive in its industry will need to adapt technological trends that are empowering employees. In line with this, it will also need an added layer of security that will strengthen its shield against cyber attacks. Network security is reinforced. 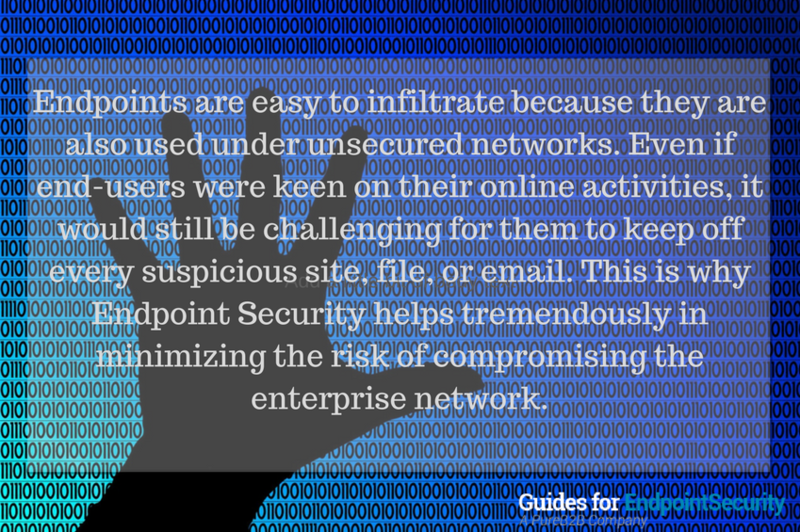 Endpoints are easy to infiltrate because they are also used under unsecured networks. Even if end-users were keen on their online activities, it would still be challenging for them to keep off every suspicious site, file, or email. This is why Endpoint Security helps tremendously in minimizing the risk of compromising the enterprise network. 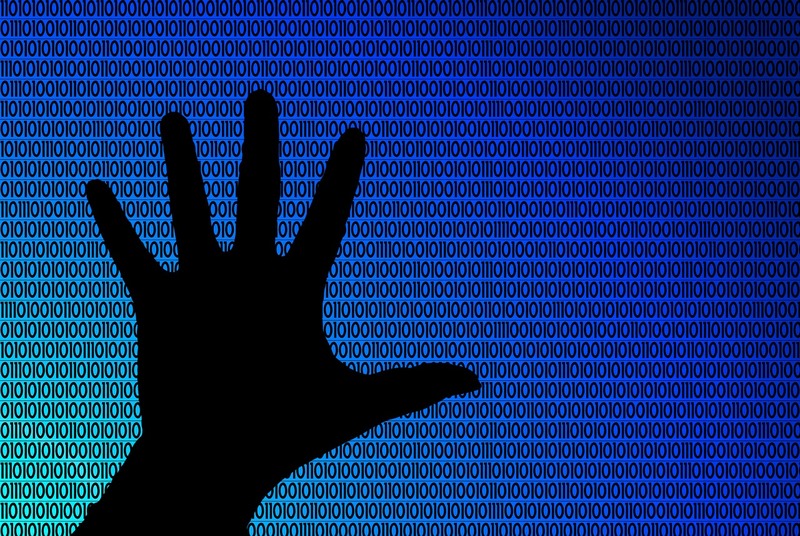 By encrypting data on devices, it would be difficult for an outsider to steal sensitive company information during data transmission. Applications are controlled. Device policies along with other management tools can prevent any unauthorized execution and installation of applications. Malicious programs can therefore be avoided and the enterprise network will be protected. A good vendor can provide users with a program that is easy to install and adopt, has superior cyber threat protection, possesses effective management tools, and comes equipped with knowledgeable and dependable customer service. For example, Kaspersky is one of the leading vendors that received a lot of positive reviews from industries such as service, finance, manufacturing, etc because of the aforementioned reasons. So, who can benefit from Endpoint Security? Every industry that communicates online and goes mobile. Previous: What is a Secure Endpoint?